The world’s brightest academic, government, practitioners and community leaders in migration, diversity and integration will unite in Sydney, Australia for learning, dialogue and networking over four days. Ian will be presenting on the thematic area of business, enterprise and employment. 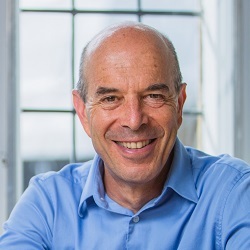 Ian is the Oxford University Professor of Globalisation and Development, the Director of the Oxford Martin Programme on Technological and Economic Change and the founding Director of the Oxford Martin School. Previous positions include, World Bank Vice President and the Group’s Director of Policy, Chief Executive of the Development Bank of Southern Africa and Economic Advisor to President Nelson Mandela. 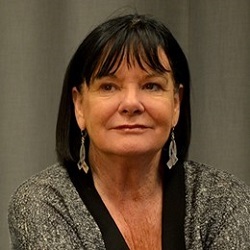 Sharan Burrow has been the General Secretary of the International Trade Union Confederation (ITUC) since May 2014. The ITUC is the world’s peak labour union body representing 207 million workers in 163 countries and territories with 331 national affiliates. Sharan has led union negotiations on major economic reforms and labour rights campaigns. Sharan will be contributing her insights in relation to labour migration and social change in the thematic area of business, enterprise and employment. 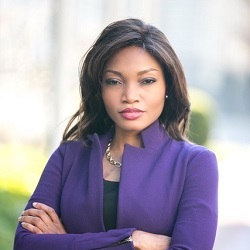 Tolu Olubunmi is an entrepreneur and global advocate for migrants, refugees and displaced people. An innovative thinker and determined change-maker, she has established and led numerous NGOs and campaigns focused on immigrant integration, employment, access to technology and education. Tolu’s powerful voice and inspiring personal story will contribute to the thematic area of migrant voices in a connected world. Second Call for Abstracts Closing Soon! As the only international event dedicated to migration to be held in 2018, Metropolis provides a unique opportunity to present your research and insights to an activated audience and rigorously engage with the latest thinking in migration, diversity and integration policy and programs. Submit your work before the deadline Sunday 20 May 2018! Don't miss the opportunity to be a part of Metropolis 2018. Register before Tuesday 3 July 2018 to receive a discount of up to 20%.